It is interesting how quickly time passes and how soon. we get used to major changes, especially if there is no relaxation in the general pace. It seems only yesterday that we bemoaned the loss of the Reims-Geux circuit for the traditional Grand Prix of the Automobile Club of France, yet the last French Grand Prix to he run in the heart of the Champagne country was in 1966, the first year of the current 3-litre formula and it was won by Jack Brabham in his own car powered by a V8 Repco engine. In 1968 the traditional title of the Grand Prix of the Automobile Club of France disappeared when the Federation Francaise du Sport Automobile took over control of motor racing in France. The race was renamed the Grand Prix of France (or French Grand Prix) and was numbered "the First". The FFSA took the race to Rouen-les-Essarts, then to Clermont-Ferrand and our next upset was in 1971 when the "Fourth French Grand Prix" was held on the newly-built Paul Ricard Autodrome in the hot and dusty South of France. 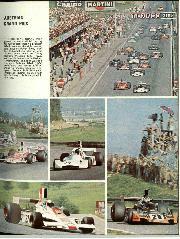 A brief return was made to the exciting and spectacular Circuit of the Auvergne at Clermont-Ferrand for 1972, but that. was the end. All those taking part decided they liked the fiat Autodrome in preference to the challenge of the Auvergne mountains, so Clermont-Ferrand was denounced as being unsafe and not in keeping with "modern thinking". 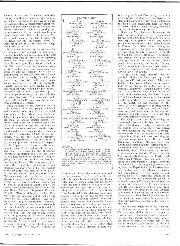 By this time we had arrived at the sixth French Grand Prix, even though to British eyes the French Grand Prix had been run since 1906, and, in fact, was the original Grand Prix motor race. 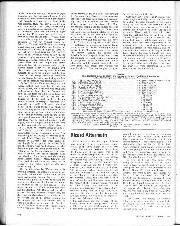 In 1974 the race was held at the tiddly-little unfinished Dijon-Ptenois circuit and the FFSA and the Automobile Club of France came to an agreement that the two titles of the race Should be combined. 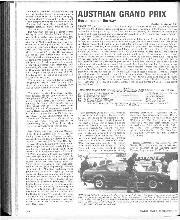 They took the numbering of the races run by the ACF and the title of those run by the FFSA and in 1974 we had the 60th Grand Prix of France, even though the 1973 race had been the 6th Grand Prix of France. Holding the race at Dijon was an unpopular mistake and though the FFSA wanted to return to Clermont-Ferrand they were over-ruled by vested interests and the FIA and the race returned to the Paul Ricard Autodrome. 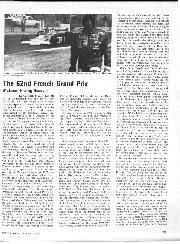 So here we were in 1976, ten years alter the real French Grand Prix and "racing in the Grand Manner" had died the death, at the "superb facility" called the Paul Ricard Autodrome ready to witness the 62nd Grand Prix of France. Almost unbelievably it was the fourth time the race was held at Paul Ricard, which must prove that you can get used to anything if the alternative is nothing. With one exception the entire Grand Prix circus moved into the paddock the day before official practice was due to begin, the only absentee being the Dutch HB Alarm team of the Hoogenboom brothers, with the 1975 Ensign and Australian driver Larry Perkins. It was a simple case of over-spending their budget and stopping before financial ruin set in. An absentee among the drivers was Chris Amon, who was still suffering from the effects of his crash in Sweden, when the works 1976 Ensign crashed due to steering failure. His place was taken by Patrick Neve, borrowed from the RAM Racing Brabharn team, and Damien Magee moved into his vacated seat. Additional runners to the recent scene were Guy Edwards with the second 1975 Hesketh 308, Ingo Hoffmann in the second Fittipaldi car and Pescarolo with the original Suttees TS19. During pre-race testing the Brabham-Alfa Romeos had shown a good improvement, the fast-flowing curves of the Ricard circuit seeming to be more to their liking than "stop-go" corners. During the 1 hours of practice on Friday Morning Carlos Pace made the fastest lap of the session in 1 mm. 48.75 sec., which looked most encouraging for the Brabham team, but it was a "one-off" effort, for neither he nor Carlos Reutemann in the other Brabham-Alfa Romeo, improved on or even approached this time again, while most of the other front-runners went faster as time went on. In the combined March teams there was a justifiable air of despair before practice had really got under way in the torrid heat. Peterson's engine blew up almost as soon as he started, Brambilla's gearbox broke and Merzario skated off into the rough and damaged the front nose cowling on is car, while Stuck was to start two days of practice that simply went from bad to worse with mechanical troubles. Lauda tried the spare Ferrari, with de Dion rear suspension, but did not really like it and the Ferrari 'team were in trouble with the technical scrutineers because of the airdeflectors ahead of the front wheels that were part of the brake air-scoops and thus turned with the wheels and were deemed to be "a movable aerodynamic device". While Ken Tyrrell and Derek Gardner were looking anxiously to their left anticipating the arrival of Scheckter and Project 34/3 at the end of one lap, the woolly-headed South African came walking round the end of the pits to their right, to explain that he had left the car out on the circuit with only three of its four front wheels turning with the steering wheel. The official reason given out was "electrical trouble" which didn't make the Lucas men happy. Not far away in the Brabham pit a slightly angry Carlos Pace arrived and leapt smartly out of his car its boiling water was leaking into the cockpit front a malfunction of the cooling system and the header tank by his left shoulder. While Laffite started practice with the older Ligier-Matra V12, the new one was prepared and he changed over to it half way through the morning, still carrying number 26. As nobody in these non-serious days of Grand Prix racing bothers to tell the time-keepers of any car changes, or carry a T alongside the number on a spare car, nobody seemed to know (or care!) what sort of official times the new Ligier was doing, or for that matter the de Dion Ferrari. The various teams' own time-keepers and lap recorders presumably keep track, but their times are unofficial and often differ from the official time-keepers due to being sighted in a different position. During the lunch break the situation was reviewed and the interesting question mark was the fact of Pace being fastest, but you had to add to the equation important details like Lauda spending time with the de Dion Ferrari, Peterson . doing no practice at all, Scheckter's efforts being cut short and Regazzoni not really getting with it. 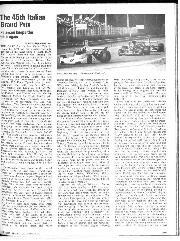 However, significant was the, fact that Hunt was in second place, the MeLaren team getting back into something like their normal state, Depailler in third place with the six wheeled Tyrrell, Andretti in fourth place with the new Lotus and John Watson in sixth place with the new Penske. In the brief hour of practice in the afternoon a more realistic result was obtained for Peterson was back again with a new engine installed in his March, Lauda was concentrating on his normal Ferrari and Regazzoni seemed to wake up. Reutemann was having a had time as he tried to practise in the spare Brabham-Alfa Romeo but it sat for a long time just beyond the pits with mechanics working on it. Pace was going well, but not as well as in the morning and finished up seventh, but retained fifth overall thanks to the morning time. While Andretti was up near the front with the new Lotus poor Gunnar Nilsson was right at the back, sidelined by a broken gearbox main-shaft. The signs in the morning that McLaren Racing had recovered its composure and were getting their adjustments right were borne out by Hunt making fastest time of the afternoon, with 1 min. 47.89 sec. which was comfortably fastest overall. Lauda was just behind him, followed by the consistent Patrick Depaliler and that old wolf Regazzoni quietly got his Ferrari into fourth place overall. 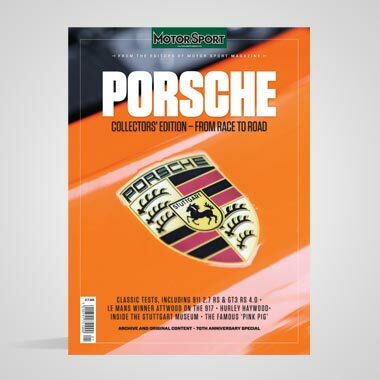 It looked as though things were returning to the situation at the beginning of the season when it all looked interesting.and before the rule-makers and scrutineers confused the issue. There were 29 drivers out practising in the afternoon as Ickx was waiting while the engine was changed in the new Williams, but of the total of 30 only 26 were being accepted for the race, the slowest four being dropped. By the end of Friday afternoon these were Ertl (Hesketh), Ickx (Williams), Kessel (Brabham) and Hoffman (Fittipaldi). The works Ensign was in trouble with its Cosworth V8 engine, but even so it was looking a very mediocre also-ran without Amon in the cockpit. There was a surprising lack of sparkle from Laffite and the Ligier as it was fully expected that it would do something spectacular in its home Grand Prix. From being "at the front" it was now merely "near the front" and the pace is so competitive that such a change could be considered disastrous, though it must not be overlooked that there are an awful lot of drivers, cars and team's who never even look like getting "near the front". As is customary nowadays the hour and a half of practice on Saturday morning was untimed and meant for low-speed laps scrubbing-in tyres or for drivers to get accustomed to their car's handling on full petrol tanks. Not many use it for these purposes, most of them still scratching away to try to arrive at an acceptable compromise of all the available adjustments of suspensions, tyres and aero-dynamic devices to help them attain a competitive lap time in readiness for the final hour of qualifying in the afternoon. When the Friday practice had finished Team Lotus had found their new car looking decidedly odd, with the engine apparently pointing downhill at the front! The lower engine mountings had broken away from the monocoque and there was not very much holding the car together, so it was dumped on a trailer and covered over. Andretti set off on Saturday morning to acclimatise himself to his old original car, but he did not cover many miles before the crown-wheel and pinion chewed themselves up! An assembly fault at the Hethel factory, which did not please Colin Chapman. The previous evening one of the Matra mechanics insisted to Patrick Neve that he could hear a "drole de bruit" in the Ensign's engine. He was right, it blew up on Saturday morning and there was a rush to change it in time for the final qualifying hour. Jochen Mass tried the spare McLaren for a short time but soon stopped when the rubber belt driving the auxiliaries from the front of the engine mangled itself into a nasty mess. Quietly confident was James Hunt in the leading McLaren, running with full petrol tanks and on slightly worn tyres ready for the race. The "balance" of the car looked extremely good and Hunt was driving it with a confident case and smoothness that should have indicated to everyone that the McLaren doldrum is over. In prerace testing they had found that they could run some 400 or more miles on a set of tyres, the wear-rate at Ricard being very low. For the middle portion of this distance the car stayed in balance without any deterioration in the handling being caused by tyre wear. 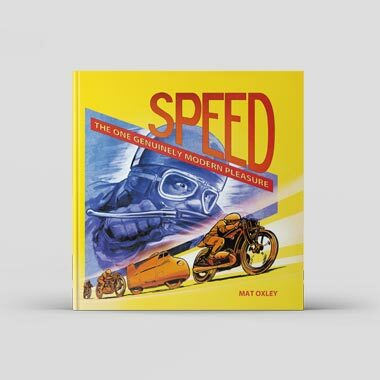 Consequently they were planning to do the race with a set of tyres at this optimum midway point in the wear scale, Hunt knowing that he could maintain the same pace if necessary, from the first lap to the last lap of this 54-lap race. For the final hour most people were ready and raring to go, but Stuck was forced to Sit it out as his car was still in bits having its engine changed and Neve was standing around anxiously as the new engine in the Ensign refused to start. Laffite was concentrating on the earlier Ligier, though the new one was ready if he needed it and Andretti's Lotus was all in one piece again. Lauda's Ferrari engine was showing distinct signs of tiredness, tell-tale oil streaks appearing on the engine cowling as piston-blow by or valve gear trouble allowed oil to be blown out of the front pair of inlet intakes. 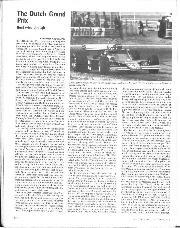 There was nothing that could be done and the car could not match its Friday time so the World Champion packed it in halfway through the session, keeping his fingers crossed that his position on the front row of the arid alongside Hunt, who was on pole-position, would not be taken by Depailler or Regazzoni, who were just behind. On the previous day, laps in the 1 min.n. 48 sec. bracket were the order of the day for the aces at the front, with Hunt out on his own at 1 min. 47.89 sec., but during the Saturday afternoon hour, with the temperature very high and the track well-used by saloon cars, Formula Renault, Formula Simca, Formula Elf, Formula 25 and Formula 69, the overall pace was slower, and only those who had been having trouble made any significant improvement. Among these was Peterson, who was clearly returning to his proper form and his best time of 1 min. 49.07 .sec. was FTD, but only good enough for the third row of the grid. 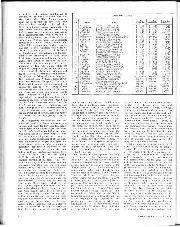 A study of the table of practice times accompanying this story makes interesting reading. That evening and next morning a lot of work was accomplished in the pit garages, Lauda's Ferrari having a new engine and gearbox installed, the de Dion car being converted back to independent rear suspension and Regazzoni's car having its customary new gearbox fitted. All the other cars that had qualified were prepared for the race and of the non-qualifiers only Ertl's Hesketh was got ready as first reserve, the two RAM Racing Brabhams being packed up and Hoffmom's Fittipaldi being abandoned. Edwards had just scraped his Hesketh onto the back row and the works Ensign was in last place, which was very lucky as it missed an awful lot of practice. Side-by-side in the penultimate row were the first and latest Surtees ST19 cars, Brett Lunger in the latest one and Pescarolo in the original one that Lunger used at the beginning of the season. Just below the midway point of the starting grid were the two Shadows of Jarier and Pryce, alongside each other, equally good or equally had, depending on how you looked at it. Much nearer the front of the grid than we have seen before were the Brabham-Alfa Romeos of Pace and Reutemann, indicating that perhaps they are making progress after all and are not quite so hopeless as seemed the case recently. A praiseworthy effort was Watson in row four with the new Penske, the bearded Irishman's ability not getting just rewards recently. At the front it was back to "statua quo" with Hunt in the 6-speed McLaren and Lauda in the flat-12 Ferrari on the front row, the six-wheeled Tyrrell of Depailler in row two with Regazzoni alongside in the second Ferrari. Sunday Morning was as hot as ever and a test-session was allowed for last-minute running. Lauda's new engine seemed all right, though there were still traces of oil appearing around the intakes which was very unusual for a Ferrari engine. Pace felt the clutch on his Alfa Romeo engine was about to break, so the gearbox and rear suspension were taken off and Sure enough two of the Six bolts holding the pressure plate had sheared. A complete new assembly, including the starter ring, was fitted well before lunch. Laffite was going to race the old Ligier, the Tyrrell six-wheelers were ready, but the four-wheelers were standing by just in case; the spare Penske was all polished up and ready to go if necessary, but the collection of spares that looked from a distance to he a spare March for Peterson were still no more than a collection of spares. While Formula 72 and Formula 121 ran their National races most people had lunch and the teams made ready for the race which was going to keep them busy for about 1 hour 40 minutes, a whole ten minutes longer than the longest practice session. 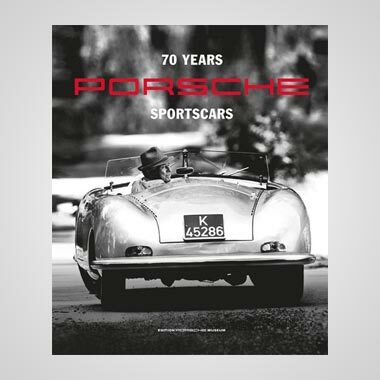 The drivers were taken for a parade lap of the circuit in a row of new Porsche 924 cars, most with sunshine roofs so that the drivers could stand up or sit out on the top and he seen by the estimated 90,000 paying customers. After that they buckled themselves into their armour and set off on a warm-up lap, ending up on the "dummy-grid" prepared for the 3 p.m. start. It was actually a few minutes after 3 p.m. before all was ready and Hunt and Lauda led the 26 starters forward to the starting grid. Last year Lauda on pole-position was on the left of the grid, giving him the best line into the fast left-hander after the start. This year pole-position was on the right of the road, and with Lauda in second position he was in his 1975 position on the left of the road, once again well placed for the first corner. From the start Hunt's McLaren almost held the Ferrari in an impressive demonstration of drag-racing, but the Ferrari got its nose ahead and then it was all over, or so it seemed. At the end of the Opening lap Lauda already had a visible lead over Hunt's McLaren, Regazzoni, Peterson, Depailler, Watson, Scheckter, Laftite, Pace and Reutemann followed and all told 27 cars passed by, for Harald Ertl had joined in at the back of the grid, having been "standingby" in case someone non-started. After Only three laps Lauda's lead was not only visible, it was measureable, and was one whole second per lap, but Hunt was not unduly worried as he was gambling on the Ferrari handling deteriorating as the tyres wore down, knowing that the McLaren would be unchanged. As Lauda set fastest lap on the fourth time round in 1 min. 51.0 sec., 0.4 outside the lap record, a time on which no-one improved, the "extra runner" Ertl retired at the pits with a broken differential. Hunt was driving really hard in second place because he had Regazzoni right behind and filling his mirrors, and by six laps these two had left the rest behind, in their efforts to keep up with the flying Lauda. While the McLaren team leader was on great form, his number two was in trouble. In the opening scramble Mass had bumped Reutemann's Brahham-Alfa Romeo and the McLaren nose Cowling was damaged and he was forced to stop after six laps and have a new one fitted, which dropped him right to the hack of the field, even behind Patrick Neve in the Ensign, and though the race was only just begun there was little hope of hint catching other than the tail enders for stolid driver though he is, Jochen Mass is no Moss, Clark or Stewart; in fact, what is lacking in Grand Prix racing today is a driver of that calibre, who can have a pit-stop and then fight his way back up through the field to an honourable place like third or fourth. Most of today's drivers, once they are out of the running, are out. While the Mass fans were bemoaning his luck, they were joined by the Nilsson fans, for the young Swede drew into the pits after eight laps with gearbox trouble and posted yet another retirement in his troubled career in Formula One. With Lauda. leading by 8 seconds after eight laps and Regazzoni pressing Hunt heavily it seemed to be All over and the Ferrari enthusiasts were smiling and saying "Yes, it is spoiling the Championship, isn't it-for the others". Some people were yawning and saying "Boring, isn't it - when you've seen one Ferrari victory you've seen them all" and we all waited to tick off lap 9 for Lauda. It was with sheer disbelief that we watched Hunt's McLaren go by, with Regazzoni's Ferrari close behind. "Where was Lauda?" The World Champion was riding back to the pits on the pillion seat of a marshal's motorcycle! Singing happily along the Mistral straight with 12,000 r.p.m. or more on the tachometer, the Ferrari engine had suddenly broken dramatically and locked up the back wheels. By the time Lauda had got the clutch out and switched off, the whole affair was getting very exciting, but he kept it all on the road and came to a shaky stop. Although there were no holes in the crankcase or pools of oil, it was thought that the crankshaft may have broken. We had just been thinking of sorting out the overall picture at this point, for it always takes half-a-dozen or so laps for the dust of the start to settle down and a race pattern to form. Reviewing the situation at 10 laps we found Hunt in the lead by a very small margin from Regazzoni, these two being out on their own; then came Peterson with Depailler, Scheekter, Watson, Pace and Latfite close behind and the outcome of these six far from decided. After another gap came Brambilla, Stuck, Reutemann and Andretti in close company, and then Pryce, Jarier and Merzario equally close together. Further back were Ickx, Fittipaltli, Jones and Leclere in a group and then Pescarolo, Linger, Edwards, Neve and Mass straggling along behind. One lap later and Depailler had got his six-wheeler past the blue and yellow March of Peterson, and straightaway, left the others behind, though he did not make any ground up on the leaders. On lap 16 Scheckter got his six wheels in front of Peterson's four wheels, but did not draw away like his French team-mate had. By now Brambilla had got away from his pursuers, in ninth place, and Andretti had passed Reutemann for an unimpressive eleventh place, while Tom Pryce had realised, that it did not look good to be seen in company with Merzario, and had pulled away on his own. With the race barely tinder way Hunt was not looking too secure in the lead for the McLaren was sliding about a hit out of corners, and Regazzoni's Ferrari was much too close for comfort. As they came through the maze of corners to finish lap 18 the Ferrari suddenly spun violently as the rear wheels locked up, and Regazzoni ended up in the protective fencing, the exhaust pipes crumpled and the rear aerofoil awry. It was a repeat of Lauda's breakage and unbelievably both Ferraris were out by one third of the race distance. Hunt was now all on his own and could set his own pace, concentrating solely pn completing the distance, for Depailler in second place was not even in sight, and as the Frenchman had pulled out a similar distance on the battle for third place, it was this group that focussed everyone's attention. It was not without reason for Scheckter, Peterson and Watson were having a real ding-dong and Pace was keeping his Brabham-Alfa Romeo in sight of them. At the back of the field Pescarolo faded quietly away, as did Fittipaldi when he saw the oil pressure sagging ominously in his Cosworth engine. A dejected Jochen Mass caught and passed Neve and then caught and passed Edwards, but neither conquest could be considered heroic. Stuck was in trouble with his left front tyre blistering and this allowed Andretti to move up a place and he then closed on the orange March of Brambilla, but its Cosworth engine was feeling the heat and the oil pressure was falling inexorably. At half distance Hunt and Depailler still looked settled and unruffled in first and second places, but Scheckter was struggling to hang on to third place for Peterson was back on the form we all used to know,and love, and Watson was making the new Penske go like he used to drive the old brown Hexagon of Highgate Brabham. Pace was still in a solid sixth place, ahead of Laffite in the Ligier-Matra V12 which was not performing as everyone anticipated. Brambills was about to drop out of eighth place as the orange warning light on the instrument panel was now illuminated, indicating that there was no more oil pressure in the engine, and he stopped before it went bang so that Andretti inherited eighth place on lap 28. Stuck was keeping going in spite of the "bubbly" tyre and behind him was a disconsolate Carlos Reutemann whose Alfa Romeo engine was losing oil pressure as the oil leaked out. Then came Tom Pryce being pressed by Merzario, for when earlier she had thought he was pulling away from Jarier and the Italian, what was happening was that Jarier's engine was losing power and he was holding up the March driver until he managed to get by. Ickx was in fifteenth place, just ahead of Alan Jones, and then singly came Leclere, Lunger, Mass, Edwards and Neve, and the tail-ender was about to be lapped by the leader, which actually happened on lay 29. 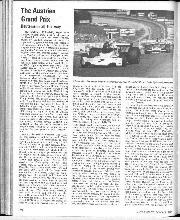 On the thirty-first lap Watson was really pressing Peterson and making attempts to get by, while behind them Laffite spun off the track harmlessly, though the rear aerofoil was moved slightly and when he rejoined the race a lap down on the leaders, he found the balance of the car had altered for the worse. At the end of thirty-three laps Pace had his Brabham-Alfa Romeo right up close to the Scheckter, Peterson, Watson trio, for they had got themselves in a muddle at the far western end of the circuit, braking for the chicane and this had allowed Pace to close up on them. At one point the Brazilian got his Brabharn ahead of the Penske, but a very determined Watson forced his way by under-braking at the end of the back straight. At the same time Peterson out-manoeuvred Scheckter and took third place and immediately drew out a comfortable lead, leaving Watson to deal with the six-wheeler. Hunt was steadily lapping the tail-enders and even lapped his team-mate and all looked safe and secure for the leading McLaren. On the forty-third lap of the race, Jones spun off in the white Surtees when the rear anti,roll bar came adrift and this dropped him down behind Leclere and a lap down on the leader. He continued for a couple of laps but found the front end of the car vibrating badly so packed it in. Reutemann was going slower and slower, nursing his engine, and Scheckter's lack of speed turned into a nasty fiat sounding Cosworth engine as something in the ignition or the injection went out of adjustment and he slowed dramatically, but kept going. This meant that Watson was now fourth and Pace was hanging on in an heroic attempt in fifth place. With only three laps to go Peterson's Cosworth engine suddenly cut out and he came to a stop, the inlet trumpets of the engine filling up with petrol, for something in the injection pump had gone awry. He tried to restart, but it was to no avail, and he had to watch Watson sail by into third place with the Brabham-Alfa on the heels of the Penske. Fifty-four laps and it was all over, Hunt had won a well-deserved victory, for though Lauda had been disappearing in the distance when the Ferrari engine blew up, Hunt had started on pole-position and no-one behind him had really challenged the McLaren during the race. Although there were eighteen cars running at the end of the 1 hour 40 minutes, some of them were a bit sick or tired, and Scheckter, Stuck, Reutemann, Jarier and Laffite were all glad it was over for their cars were performing in a very sub-standard fashion .—D.S.J.